"Button" PTE #103 - Page 10 - Miata Turbo Forum - Boost cars, acquire cats. I am ruined, aero is too fun. 4" splitter and new airdam. APR GT250 Singular AeroWing kit. Brakes were awesome. I have fallen in love with the R18 pad in Snoopy and Bullet. Waited for my R10s to wear out before switching over. I love the added bite. 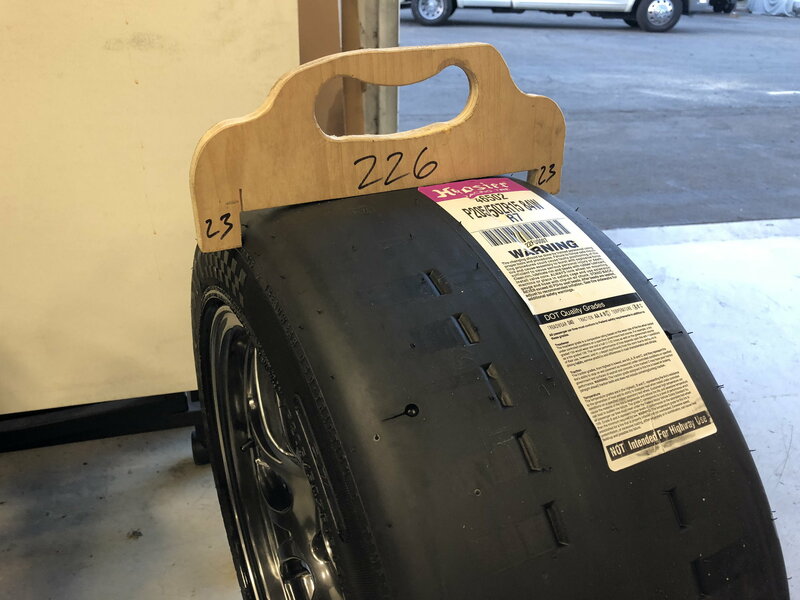 I have a stock 1.8 non-sport brake system for NASA points, so the higher mu means I have to stand on the pedal less to get the same bite. That allows easier modulation since I am not flexing my leg, firewall, etc so much. The car is still on 1000/500 springs, stock bars. I am going to drop down to 900lb fronts and add back the RB 54107 and 14mm SPM bars to make it even easier to drive/fine tune. I also want to cut some mor eout of my doors and look over the car for other weight. Last edited by doward; 11-22-2017 at 06:37 PM. Yas. Everything is just better with that aero package, I still feel like I haven't gotten used to how hard I can stand on the brakes at higher speeds now. I'm on 1000/500 right now with the SuperMiata bar kit, anything in specific that prompted you to want to go back down to 900 in the front? I don't own the APR foil, It was Sean from GWR's. I had borrowed it for Taxi and SLB. I won't have this aero package permanently as i'll be going back to an airdam only, BBFW spoiler package for SPM S2, so 900/500 works better. Chuckwalla CCW video chopped. First time driving Counter. Would love some tips from the bros.
Big bobble entering the front straight is obvious, cost .200. I pushed wide through the bowl, cost me .165. Still my fastest lap. second session golden conditions. Got hot and windy later. No other major deltas to other laps. I ran a bunch under 2:02 so I have lots of comparison sectors. the track looks so different for some reason. I know its counter but the angle or POV or something makes it look odd. I also want to cut some mor eout of my doors and look over the car for other weight. hah. Not just you. I’m adding ballast for racing as is, I’d like to add a bunch more to bring the MOI inward from the ends of the car. I think I can get well below 2200lbs with driver pretty easy. -Halo seat. My Sparco Evo is well past due. I added a back brace in 2016 to get up to NASA tech minimum. 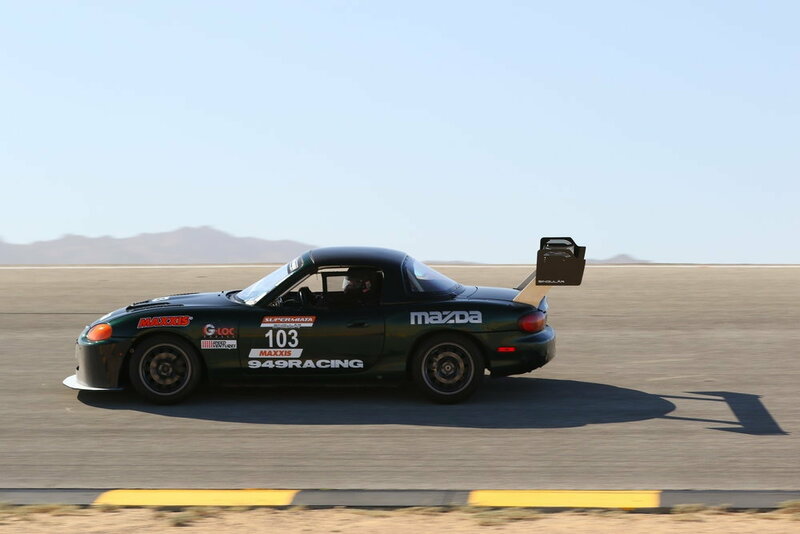 2 nozzle system mandatory for Supermiata 2018. Good idea anyways. -Relocate my master kill switch and maybe add a secondary activation. 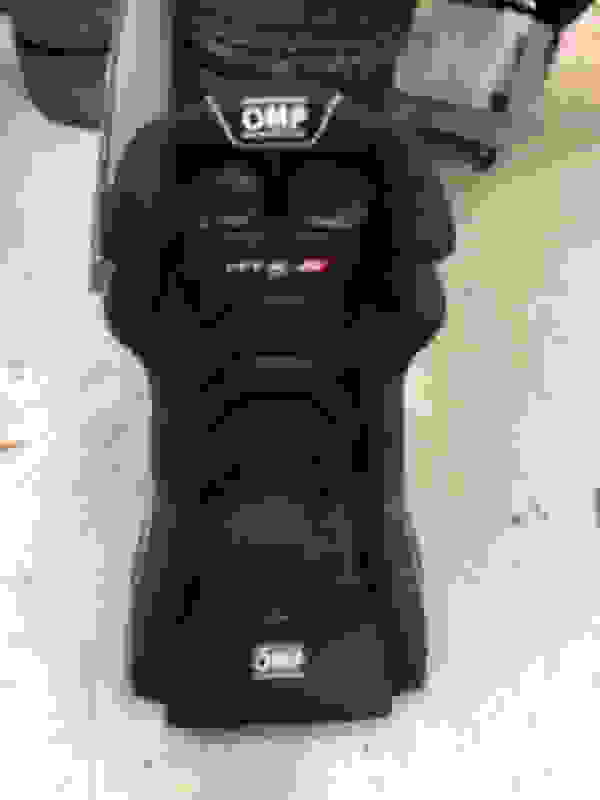 I love my OMP HTE-R. 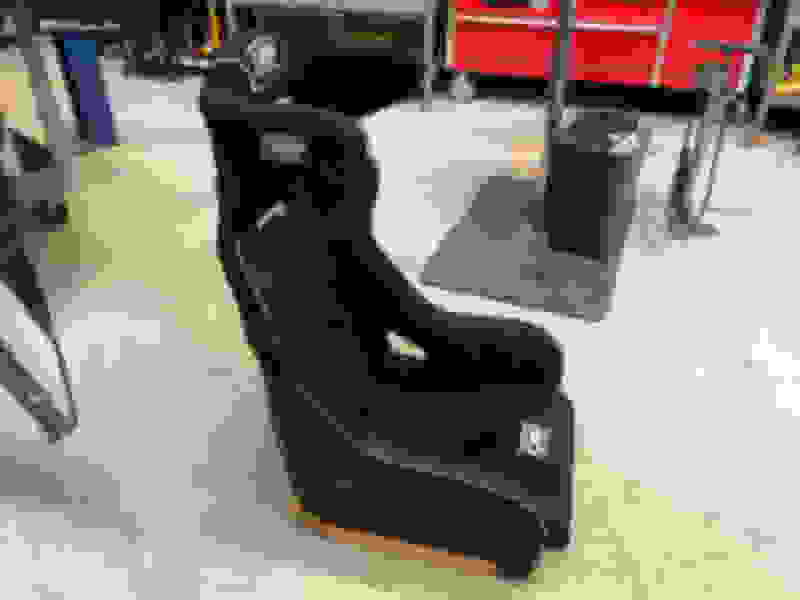 The material is very breathable, and the dimensions are perfect for the miata. Send a private message to Bryan Z. Find More Posts by Bryan Z. Most of of my guesses were spot on. Targeting 15.5:1 was good. 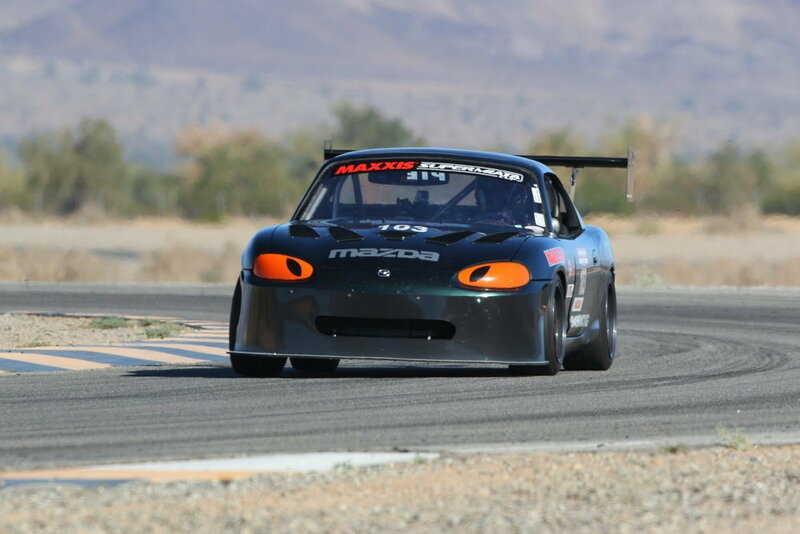 The class max is 14:1, but miatas get a couple hits due to superior suspension design(upper A arms +.7) and light weight(+.3 or .4), bumping them to 15.0 or 15.1. Adding a 4” max splitter costs another .5. My plan is to run light, since I don’t have much horsepressures. This means I’m allowed a max section width of 226mm. So I made a Go/No go gauge from the NASA template. Looks like im good to run 205 R7s under 2400lbs as long as I mount them on 8” or narrower wheels. So that’s what I’ll start with. 15x8" wheel to pinch them down to 226mm. Otherwise I have to run over 2400lbs. RB 54107 front, 14mm SPM rear sway bars. Last edited by doward; 12-04-2017 at 02:49 PM. Wouldn't you want 1000+ front springs? I thought that was the hot setup now for an "aero" setup? Or do you have enough sway bar to make up for the 900lb springs? 1100/500 would be the go-to setup on 205 R7s on an ST car. 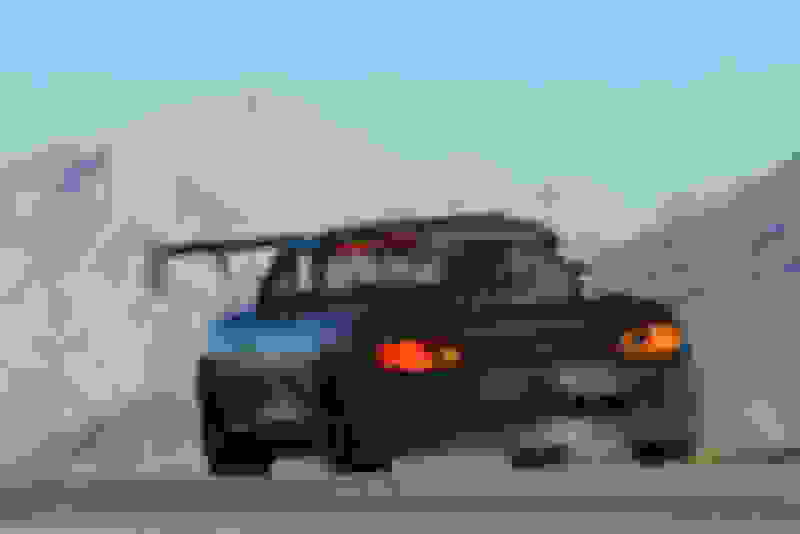 My car is an S2 Supermiata, with S1 aero added for nasa. I still need to look at what events with each series I want to drive. Not chasing anything other than fun. I like the ST rule book and have tires laying around. Not making a serious effort unless something flips and I decide to build a motor and tow to Austin, so I’ll have some compromises built in to allow double dipping back to SPM S2. 225 RC1 will hate me for running the current 1000s and adding a big front bar in S2 trim. Splitter +.5 makes it 15.3 and 147 average. 14.7 P:W allows 166.7 average. I am still not sold that .3 P:W is worth giving up Hoosiers, but it is interesting. >2450lb with BTM aero gets back to the base 14:1 P:W and is allowed 245/40 RC1/RivalS/RS4. Last edited by doward; 12-11-2017 at 06:14 PM. That's cool to them actually make changes for 100tw. I still think the delta between RC/Rival-S(-0.3) vs R7 to A7(-1.0 in ST4) isn't quite real-life accurate. Last edited by flier129; 12-11-2017 at 05:22 PM. With your experience does it make sense to go the Hoosier / aero / low hp route or no aero, rc1, 175hp dyno curve for st5? if it's go 175, could you take a trackspeed kit and get it to produce a 175hp plateau? 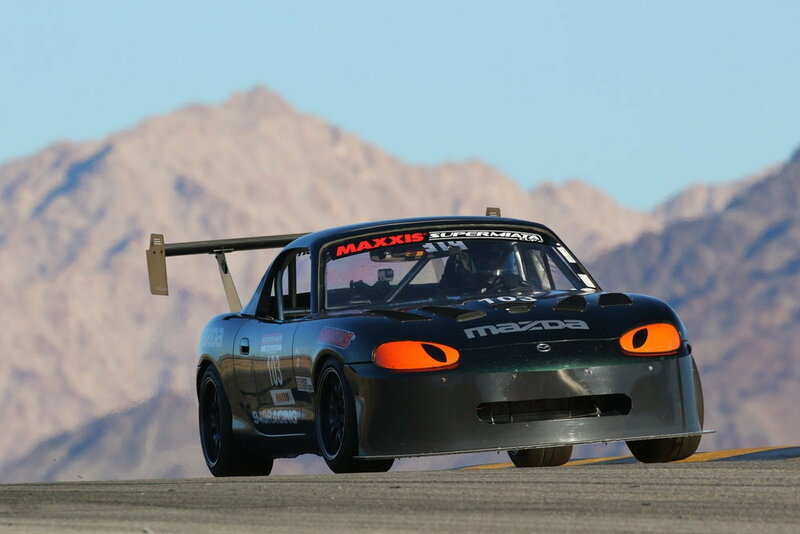 Like a no aero supermiata s1 car on 8" 225 RC1? Over 2400lbs, ST5 allows 257mm of tire. Thats a 225 R7, or a narrow 245 like RC1/RS4. I think that fastest car is a 2451lb, 225 R7, with aero. This build runs at 15.5:1 and 158 average. I don't know the best/easiest way to get 158, but it's probably simple cams in a healthy NB motor. That's cool to them actually make changes for 100tw. I still think the delta between RC/Rival-S(-0.3) vs R7 to A7(-1.0 in ST4) is quite real-life accurate. Agreed. It's not enough, but it helps close the gap for regional events or when you're saving the R7s from the heat cycles. Originally Posted by Bryan Z.
HTE-R400 is my leading candidate! Thanks Bryan. Don't forget to have a '-10 HP' tune or a bunch of ballast handy for when you get put on the NASA MCE Dyno..